The development of anti-influenza drugs has been limited by the fact that animal models do not accurately reflect the infection mechanisms influenza viruses engage in humans. With new funding from the National Institutes of Health (NIH), the Wyss Institute for Biologically Inspired Engineering will leverage its human Organ-on-a-Chip microfluidic cell culture technology to develop clinically relevant in vitro models of influenza infection of human lung, and to identify new anti-viral therapeutics that act by modulating the host response to infection. In the proposed studies, the Wyss Institute’s team will use lung Small Airway and Alveolus Chip devices lined by living human lung cells that they previously showed to faithfully reproduce normal lung physiology as well as lung diseases that affect these regions, including chronic obstructive pulmonary disease (COPD), asthma and pulmonary edema. The Lung Chips are microengineered devices the size of a computer memory stick that contain two parallel hollow channels, each less than 1 millimeter wide, separated by a porous membrane. Lung alveolar cells or airway epithelial cells are cultured on the porous membrane in one channel, and lung capillary endothelial cells are grown on the opposite side of the same membrane in the second channel to recreate the characteristic tissue-tissue interface found within these lung regions. With air streaming through the lung epithelial channels and growth medium continuously streaming through the ‘vascular channels’, the team can maintain, study and manipulate the re-engineered organ units over the course of weeks to months. Deforming forces also can be applied to the tissue-tissue interface of the Alveolus Chip to mimic breathing motions of the living lung. 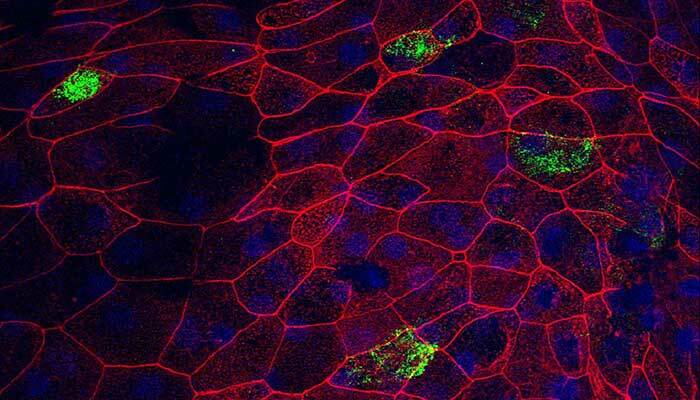 The project led by Principal Investigator (PI) and Wyss Founding Director, Donald Ingber, M.D., Ph.D., will be one of several projects within the “Tissue Chip for Disease Modeling and Efficacy Testing” initiative funded by NIH’s National Center for Advancing Translational Sciences (NCATS) in an effort to explore human microphysiological systems as potential facilitators of drug development in various disease areas. Recognizing that more than 60% of drugs fail in human clinical trials, the agency hopes to push development of better pre-clinical human models by awarding about $15 million annually to 13 two-year projects. The team will use integrated multi-omic analysis and bioinformatics approaches to assess genome-wide changes in gene expression and alterations in the synthesis of proteins and metabolites that result from infection in the different lung Organ Chips. The analysis aims to pinpoint key changes in the host response to viral infections that may be targeted to develop new anti-influenza therapeutics. Article courtesy of Benjamin Boettner, Wyss Institute for Biologically Inspired Engineering. Adapted for context and format by Global Biodefense.